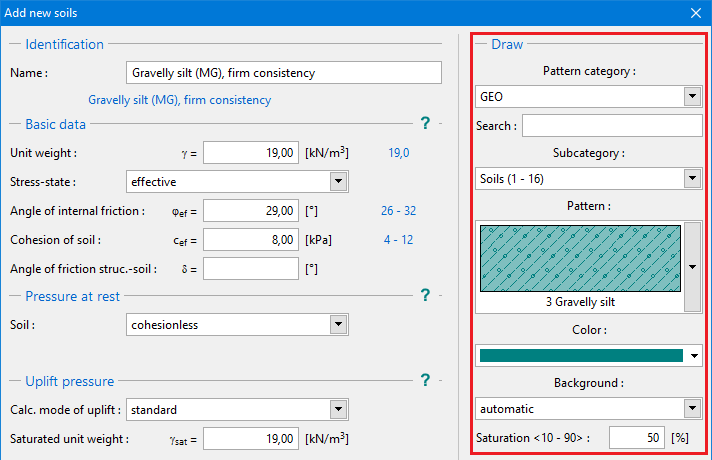 It is possible to select a pattern category from a combo list for each input soil (patterns of GEO5 software, full color, gINT patterns or patterns according to the YS 5204 Chinese standard 1) and the color of the pattern. These are displayed in the input profile. 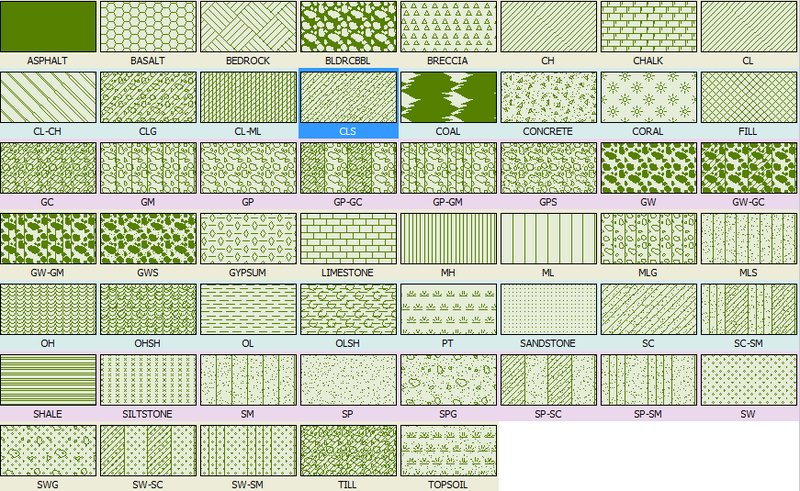 The color you choose in the combo list is used to plot soils or rocks on the desktop and to pictures, which are either stored in the "Picture list" or printed using "Print and export desktop view" (to visualize the same (full) colors in pictures, the option "full color" in the "Drawing Settings" must be set). The pattern color should be chosen with respect to the desktop background or printout paper, to be sure it is sufficiently visible.